LG Electronics is a pioneer in home appliances, which most definitely includes a washing machine. So, if you’re browsing this page, it means you’re on a lookout for an LG fully automatic washing machine. Let’s quickly talk about the LG Washing machine specifications. Worried about putting too much load in a washing machine? Well, with this LG top loader you won’t have to. Talking about the LG washing machine features, it packs a 6 motion DD technology with 6 different types of motions. The motions include scrubbing, rolling, stepping, swing, tumbling, and filtration. Depending upon the type of laundry, the motion is utilized to give tailored experience. For an efficient and faster washing, the motor in the washing machine plays a significant role. Which is why we LG has included a Direct Drive motor, which uses innovative technology to deliver quiet and better wash. All thanks to the powerful, highly durable, and a washer without belts. Do make a note that this LG washing machine is priced quite high. Are you wondering how high? Well, this LG top loading washing machine price in India starts at Rs 59,990. 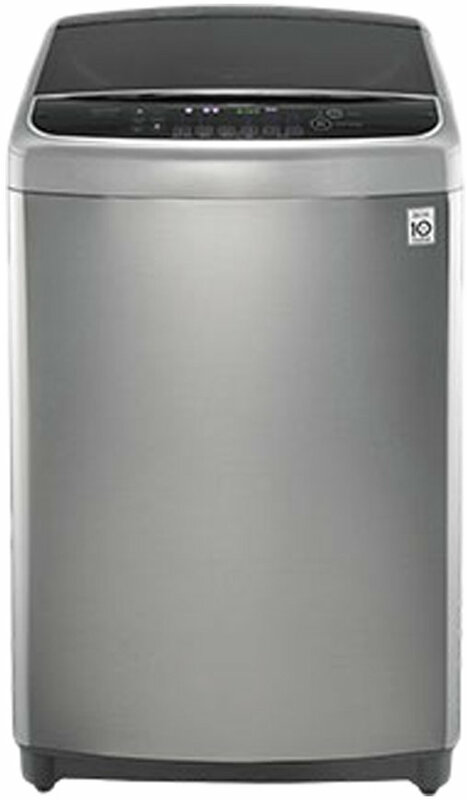 LG T1232HFDS5 17Kg Fully Automatic Washing Machine full specs and reviews as of Apr 2019. Buy it here!